Halloween is going to be here before we know it. 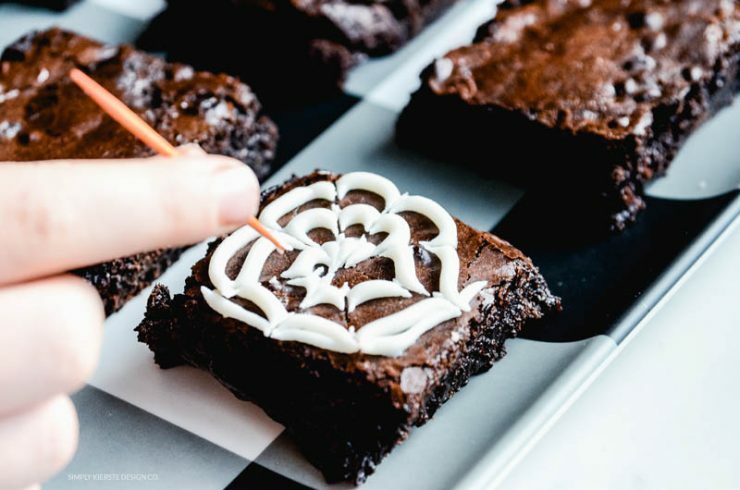 I love making festive treats for the holiday, and so I created these adorably spooky Spiderweb Brownies. SO fun & easy! They’re SO adorable and easy to make, which is really my favorite way to do things. 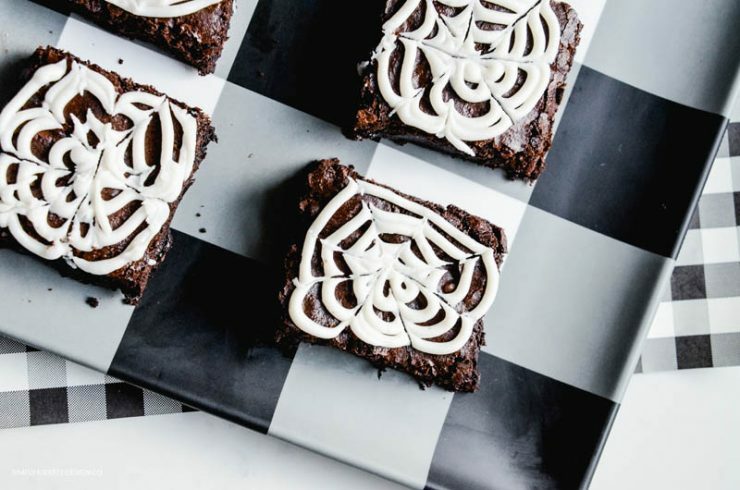 If you’re looking for a super cute treat that you can whip up in less than 30 minutes, look no farther! 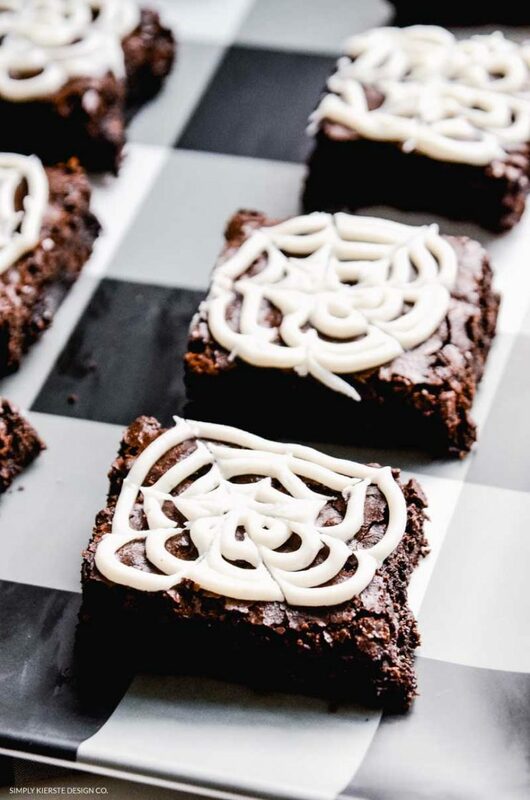 All you need is a boxed brownie mix for a 9×13 pan, white frosting—and a toothpick. Really, that’s it! 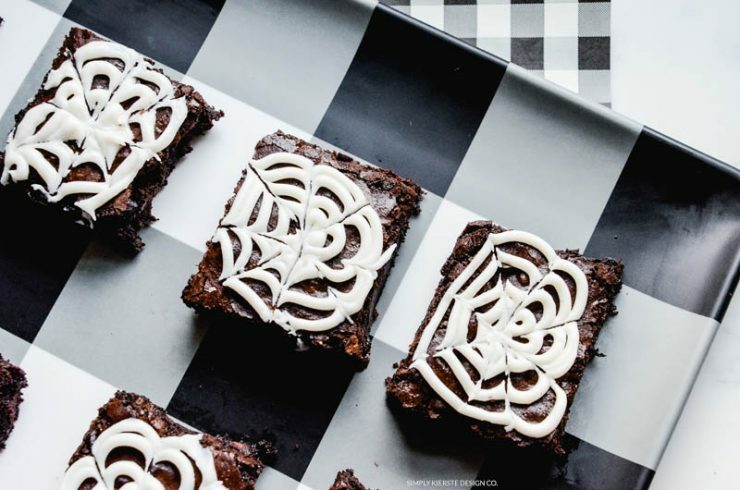 If you want to do a homemade brownie recipe, you totally can–either way will work. I also used Wilton frosting in a bag that I picked up at the grocery store, because then I don’t have to mess with a piping bag, and it saves a ton of time. But you can definitely use homemade frosting as well. 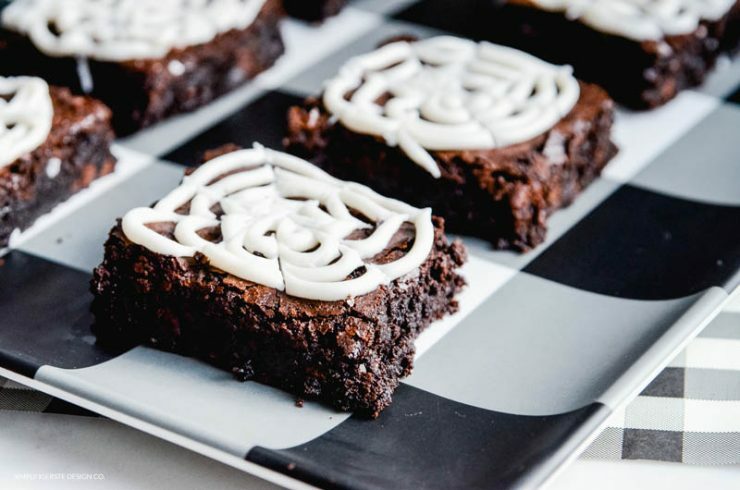 Once you’ve baked your brownies, let them cool completely, then cut into squares. I find it easiest when I line my baking dish with parchment paper or aluminum foil, and let it hang over the edges. Then I can easily lift all the brownies out, trim the edges (which my kids eagerly scarf down), then cut into equal and even-sized pieces. Pipe a circle spiral on the top of each brownie, starting in the middle. 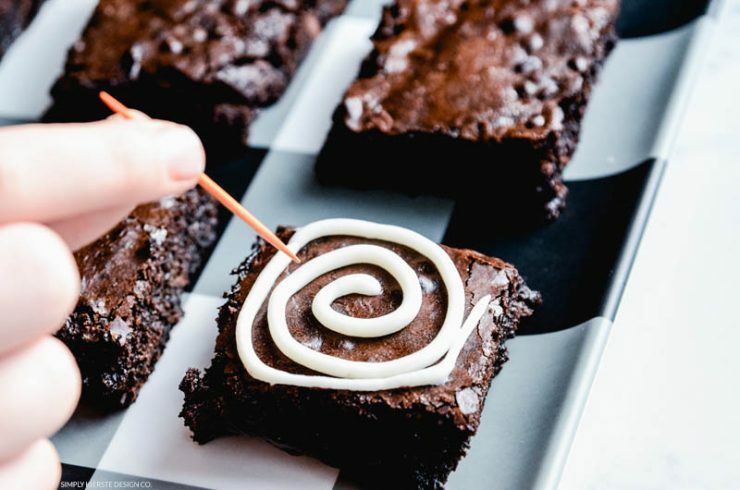 Then take your toothpick and make lines through the frosting–from side to the other–kind of like you’re cutting a pizza. That gives you the fun spiderweb pattern in literally minutes. LOVE!!! I also love this idea, because it’s so easy to make gluten-free. I have a daughter with celiac disease, and so I’m always on the hunt for fun recipes and holiday ideas that are easily adaptable. 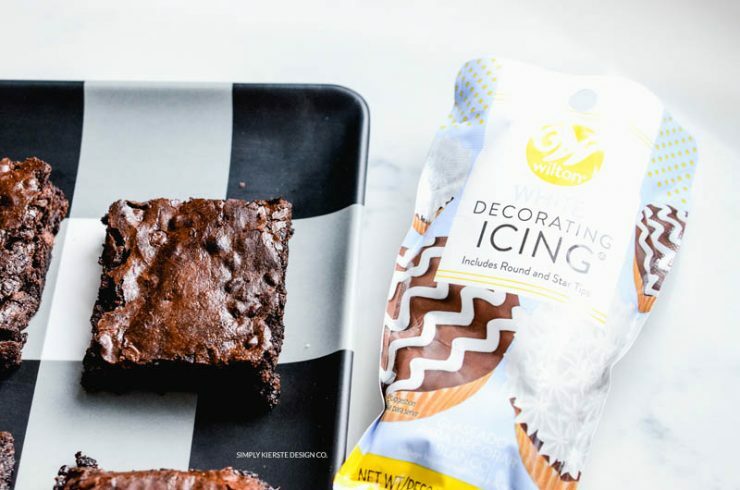 I just used two boxes of our favorite gluten-free brownie mix (affiliate link) and put them in a 9×13 pan. 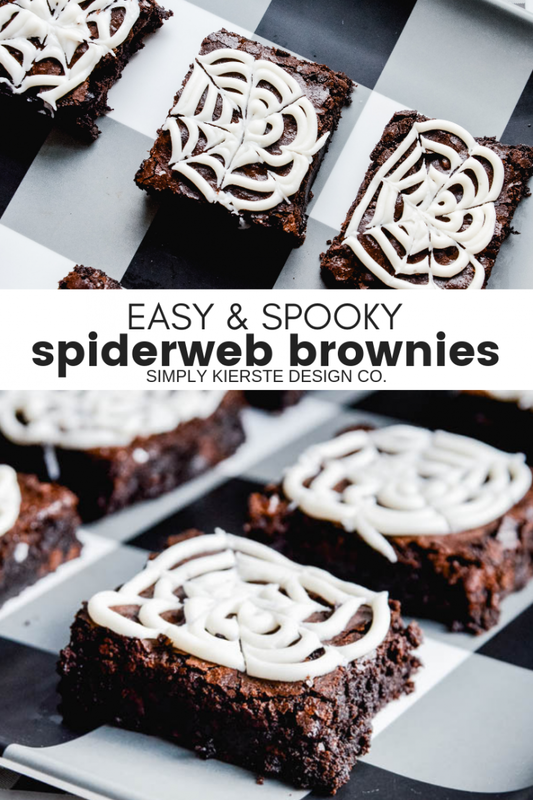 Whether you’re short on time, or just looking for a super cute Halloween treat, these darling Spiderweb Brownies are the perfect choice!